Lt. 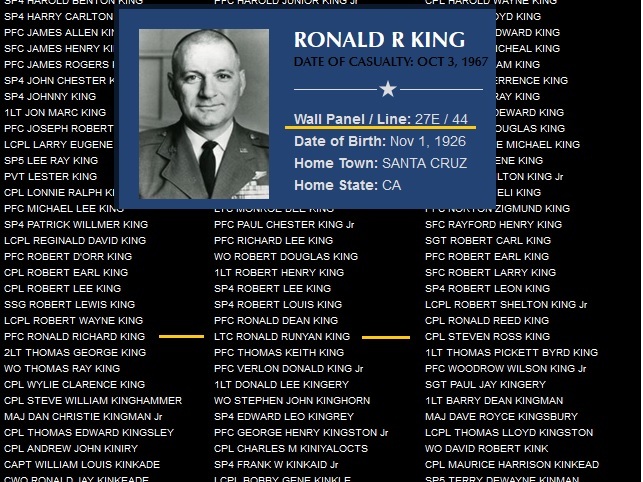 Colonel Ronald R. King is honored on Panel 27E, Line 44 of the Vietnam Veterans Memorial in Washington, D. C. Click on the photo or the following link to review his feature on The Wall of Faces and various testimonials of appreciation for his duty and service to America. 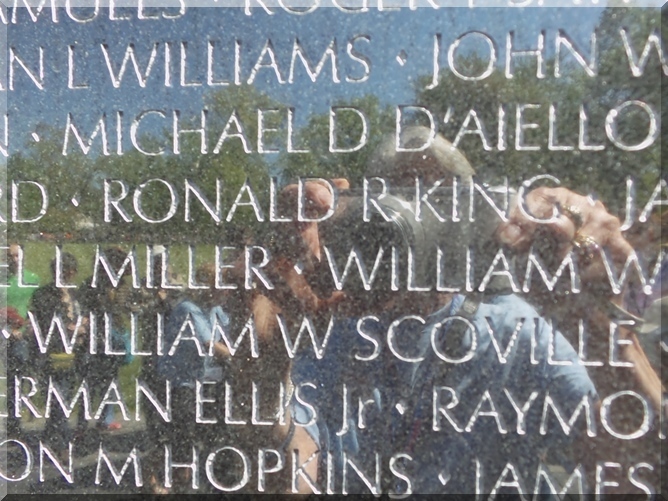 Lt. Col. King’s commemoration on The Wall of Faces states he was MIA (Missing In Action). The story of his death, as told to his now-deceased wife, Margaret, by another USAF pilot who witnessed his tragic demise, was that his fighter jet, an F-105 Thunderchief, caught on fire during an airborne refueling mission. Rather than eject over land where his plane could possibly have killed innocent people when it crashed, Lt. Col. King took his plane out over the Tonkin Gulf where it would be of no harm to others upon crashing. As he ejected the aircraft, his neck was apparently broken due to a malfunctioning canopy. The officer witnessing the accident stated his body was lifeless as it fell into the raging waves of the Tonkin Sea. His body was never recovered because of the high storm waves. Truly, his actions to potentially protect innocent people had his plane crashed over land was the result of a courageous, valiant and selfless spirit. 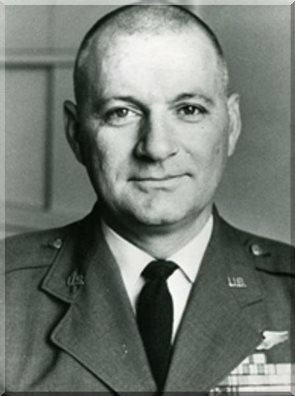 During his distinguished career, Lt. Col. King was an instructor at the Air Force’s Fighter Weapons School (Top Gun) at George Air Force Base, California. His prowess as a true combat pilot was exemplified when, while flying his F-105 Thunderchief (an air-to-ground bomber) in the skies over Vietnam in 1967, he was attacked by two Russian Migs (air-to-air fighter jets) in a real-life 2 on 1 dog fight to the death. Lt. Col. King was basically out-manned by the more versatile Migs but he shot them both right out of the sky, becoming victorious in the process. 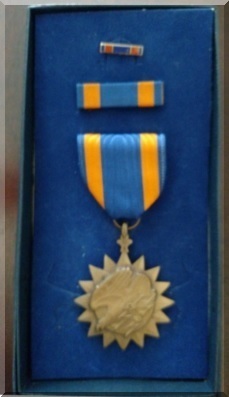 It was for this and his other heroic actions that earned Lt. Col. Ronald R. King the Silver Star - the third highest medal for valor in combat behind the Medal of Honor and the Air Force Cross. 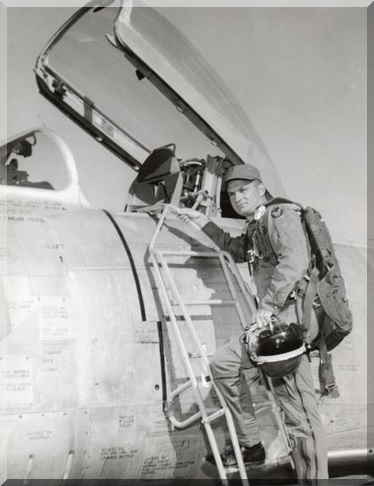 Early in his career, Lt. Col. King, known as “Sky King,” flew the F-86 Sabrejet. This was prior to his involvement with the 100 C & D fighter jet series. 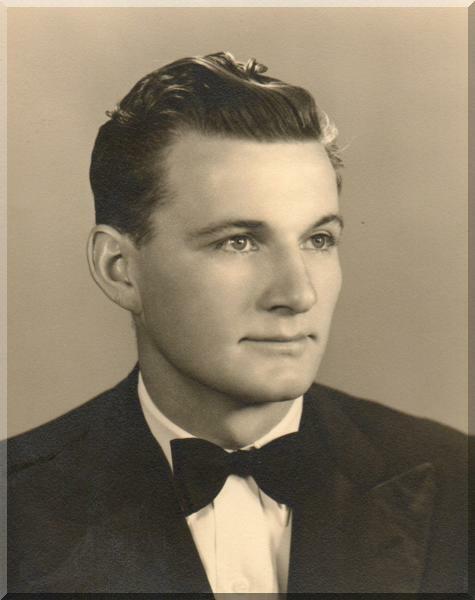 Pictured here is a young Ronald R. King with his Captain bars. Ronald R. King and wife Margaret; early years circa 1946. The Karate Institute of America, its success and positive culture can be traced directly to Lt. 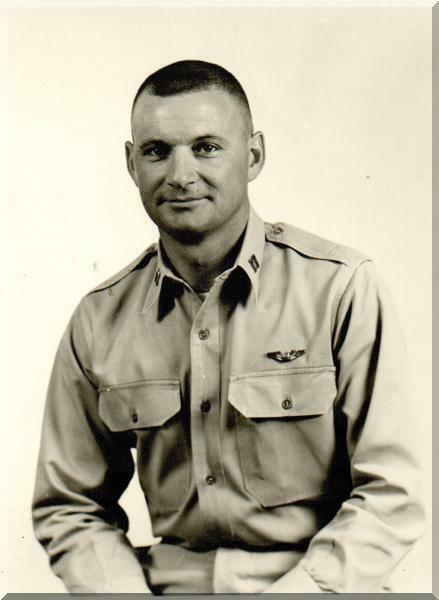 Colonel Ronald R. King and his life of dedication, honor, heroism, service, courage, loyalty, bravery and personal sacrifice, the “ultimate sacrifice.” His devoted wife, Margaret, is also a tribute to the strength and courage of a United States Air Force wife and mother. How fortunate is the KIA to have such individuals as a root to its wonderful legacy.